Timing is everything—for an actor, and for a president. Ronald Reagan always thought World War II had cost him his chance at reaching the top of the marquee of Hollywood stars. His best performance came in a film, Kings Row, that premiered just as the movie business was following other industries in converting to wartime production. By the end of the war, Reagan’s moment had passed, and it never came again. 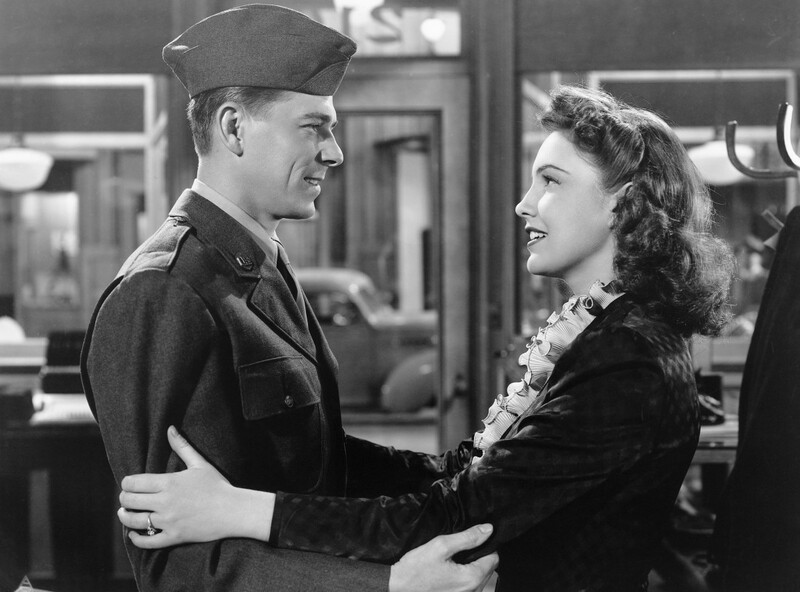 Lt. Ronald Reagan and actress Joan Leslie in the 1943 Warner Bros film, This is the Army. So Reagan reported to Culver City, California, where Jack Warner had set up the U.S. Army’s First Motion Picture Unit. Actors and technicians in uniform made promotional and instructional films, chiefly for the Army’s Air Forces. 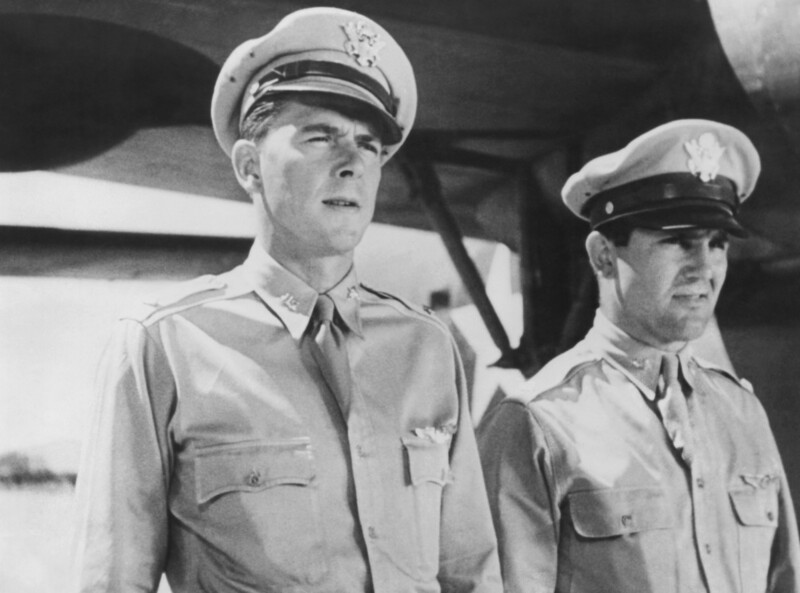 Reagan had played a pilot in earlier films and was a natural for an airman. 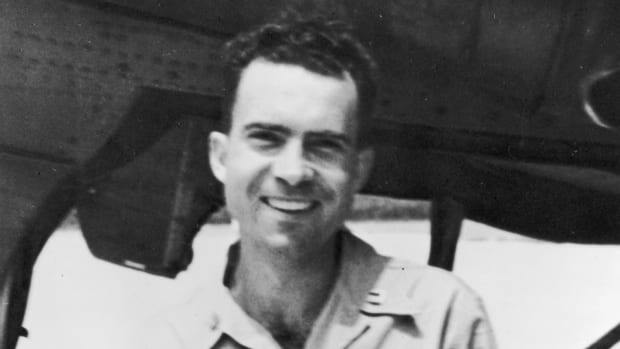 He’d been a radio announcer before becoming an actor, and his voice was perfect as the narrator for inspirational documentaries about America’s heroes of the air. 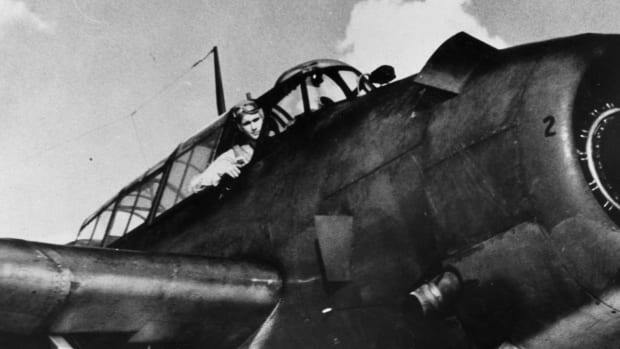 Reagan’s wartime roles caused audiences to see—and hear—him in a new light. Though he never came under enemy fire, to many Americans he was the face and voice of those who did. 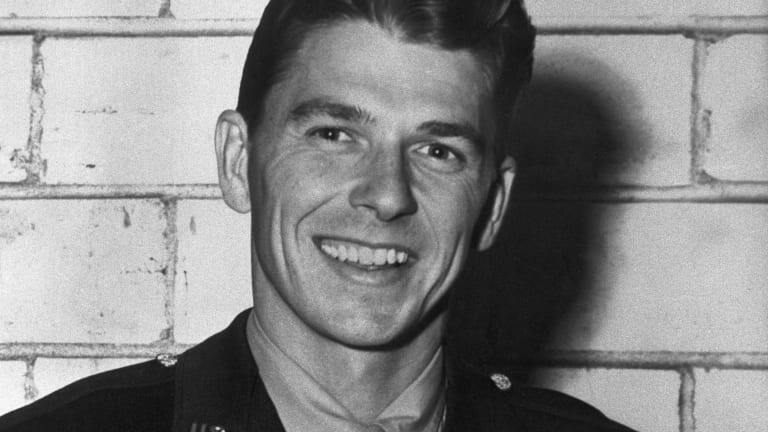 Newsreel footage of actual battles left most of the participants too distant or blurry to be recognizable; the studio-quality films Reagan appeared in showed his camera-friendly looks to admirable effect. More important, the war changed Reagan’s perceptions. He paid increasing attention to politics—first the politics of the film industry, then the politics of the country. Before the war he had never thought seriously about America’s role in world affairs, or the nation’s place in world history. Now he did. As president of the Screen Actors Guild, and later as a representative of the General Electric Co., he embarked on a program of self-education. Increasingly he spoke out on the challenges facing the United States as the World War II struggle against fascism segued into the Cold War confrontation against communism. By the time he entered elective politics, in the race for California governor, he had a grasp of public affairs that belied the popular perception of him as a washed-up actor who simply read scripts written by others. In fact, during his White House years, Reagan probably wrote more of his own lines than any president since Woodrow Wilson. 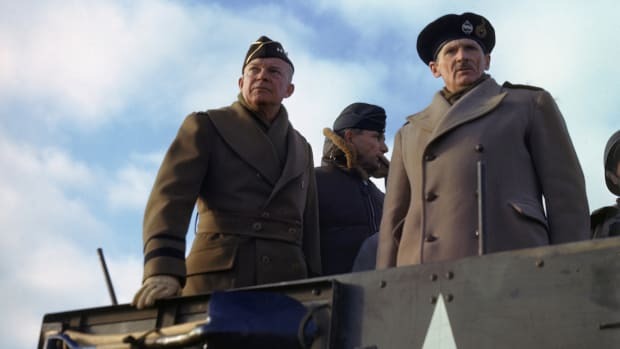 Ronald Reagan starring in the 1943 film, The Rear Gunner. 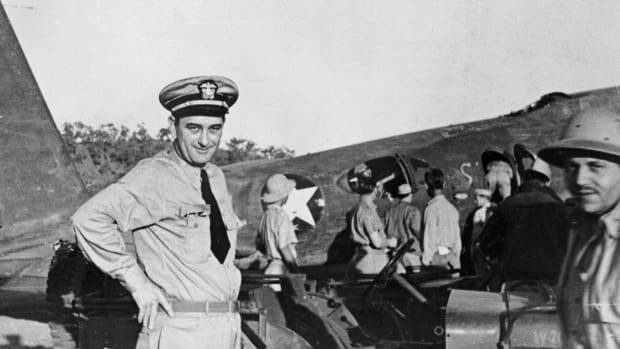 Several postwar presidents had been in uniform during World War II. 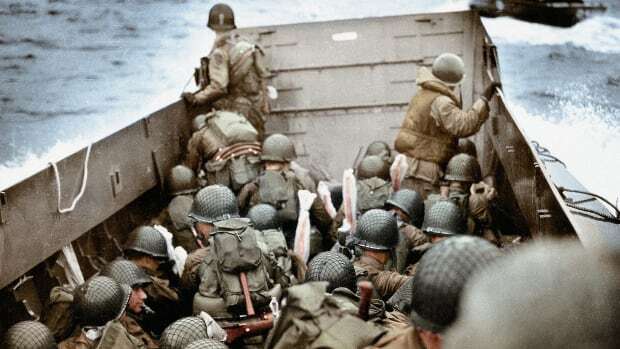 But none were more eloquent than Reagan in conveying the lesson of the “greatest generation”: that democracy required defending, and that America was the country the world depended on to do it. None felt more fully than Reagan that America’s struggle was one of good against evil, and that America was the “shining city on a hill”—an image he invoked again and again during his presidency. Reagan wasn’t on the front lines in the war, but he had a front row seat. As a member of the First Motion Picture Unit, he saw unedited footage of the liberation of the Nazi death camps at war’s end. The images made such an impression on him that he saved a reel, against a time when people might deny that the Holocaust had ever happened. Significantly, while Reagan encountered undeniable evidence of the atrocities committed by America’s enemies in the war, he had no experience of the evils done by Americans. Real soldiers recognize that war is the hell William T. Sherman, the Civil War general, declared it to be, and that not all the hell comes from the other side. From Reagan’s perch in Southern California, America’s participation was sanitized and consistently heroic. Reagan’s Hollywood version of war gave him a view of the world that was clearer than truth. During his presidency he applied this view to the Cold War. The Soviet Union was an “evil empire” that required defeating, not merely containing. “My theory of the Cold War is: We win and they lose,” Reagan said. Not for him the equivocation of détente and the stalemate of peaceful coexistence. Luckily for Reagan and the world, he entered the White House at a moment when Soviet communism had reached a crisis of legitimacy. The pressure he employed helped push the Russian system over the brink. Had Reagan been president when Stalin or even Khrushchev had been in charge in Moscow, the results might have been ominously different. But timing is everything—for an actor, and for a president. That was one lesson Reagan got just right. 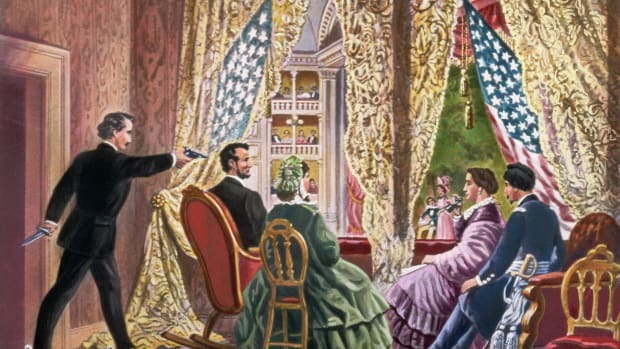 H. W. Brands is the author of Reagan and other books, including, most recently, Heirs of the Founders: The Epic Rivalry of Henry Clay, John Calhoun and Daniel Webster.